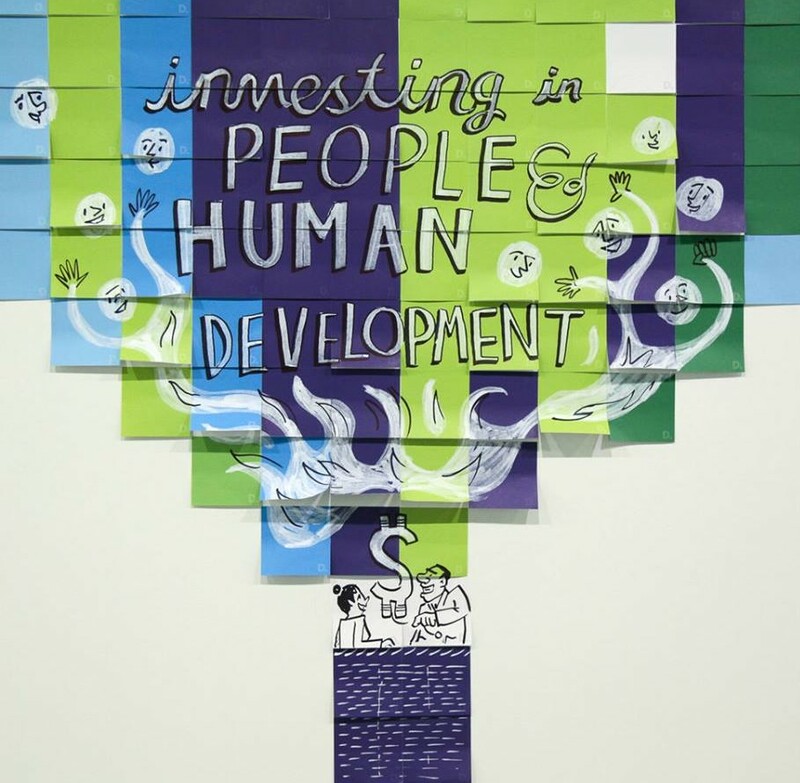 Deloitte has launched the #ImpactThatMatters social media campaign to coincide with the World Economic Forum in Davos, Switzerland where world leaders have gathered to discuss topics such as globalisation, poverty, climate change, sustainable development, trade and energy. The campaign is a branding effort for the company as its global report shares the same theme with the campaign, which had its soft launch in December. 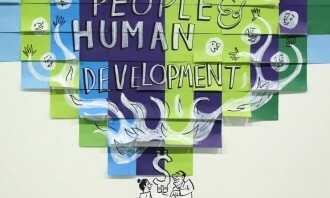 The company began socialising the hashtag by tagging and publishing posts about the global report. Twitter and Facebook users were asked to publish posts about issues that matter to them and what they think world leaders should do to make a difference regarding those issues. 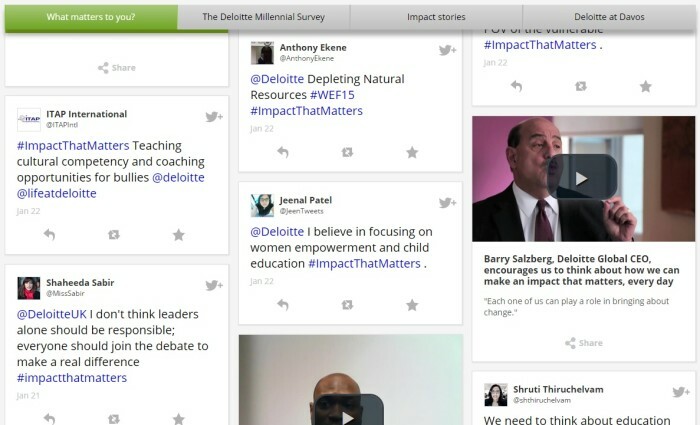 Janet Chang, ‎global social media manager at Deloitte said the issues most frequently posted in the #ImpactThatMatters hashtag feeds are education, equality and sustainability. 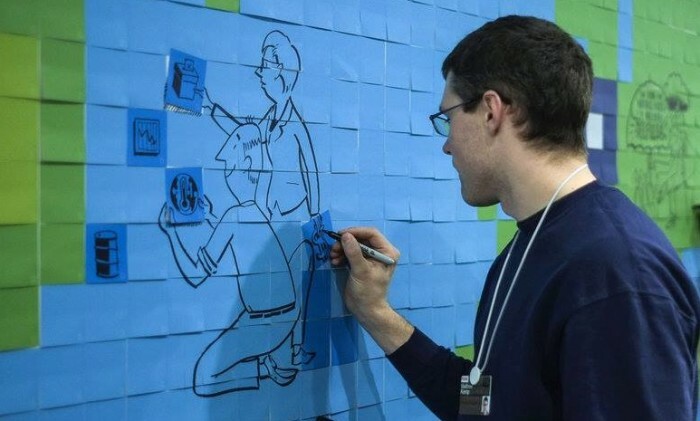 Scribes collected answers from social media, wrote and drew them on post-its made of recycled paper which were stuck onto the Deloitte wall in a high-traffic area at the Davos summit. 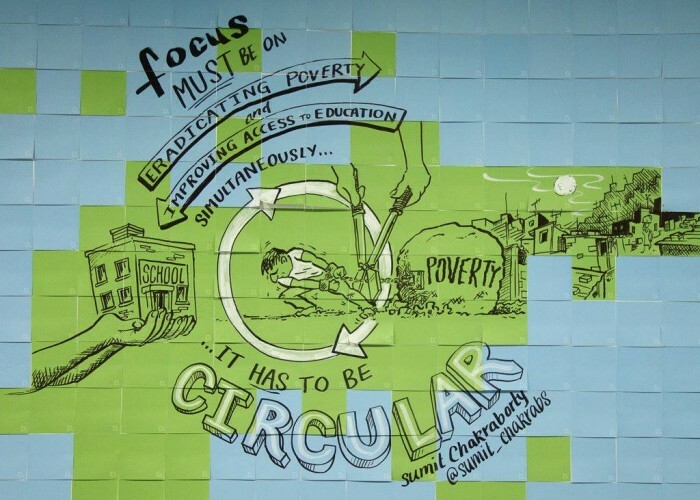 @Deloitte @gcoleman_gary Focus must be on eradicating poverty and improving access to education- simultaneously. It has to be circular! 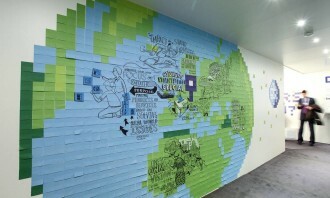 “The post-it wall is our way of helping to bring the ideas and insights of a much larger group of people to this important event—a taste of crowd sourcing at a venue normally reserved for a select group of people,” Pia DeVitre, global brand strategy senior manager at Deloitte, said. One social media post about the investments that matter. 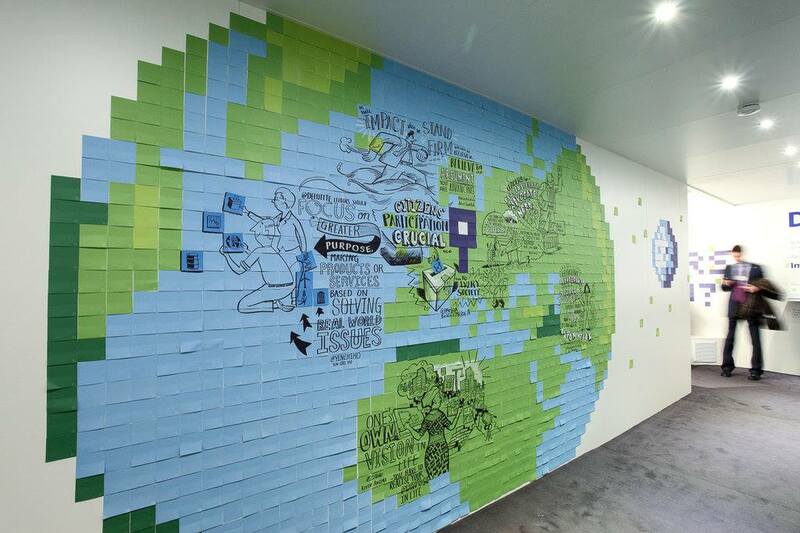 Deloitte’s post-it wall at the Davos forum. 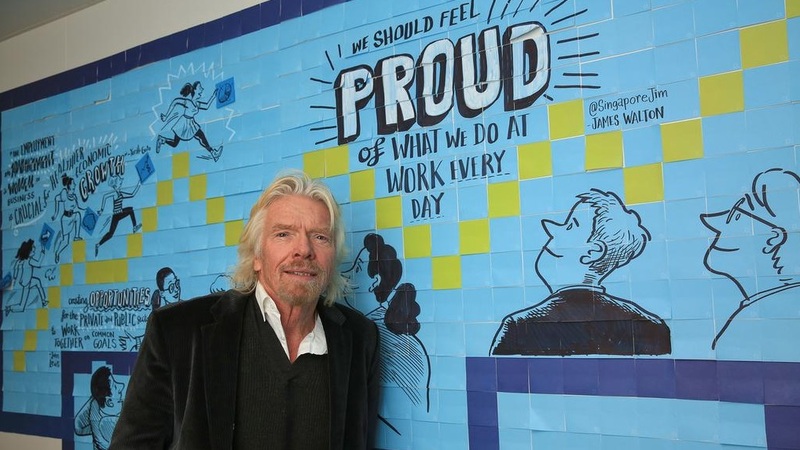 Richard Branson posing for a photo with the post-it wall. 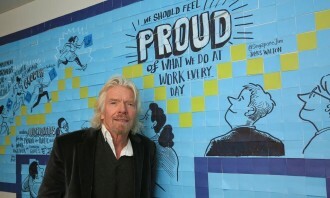 Photos of the post-its were posted back onto Twitter by those present at the forum. While Deloitte has done similar social media campaigns for World Economic Forums in the past three years, this year, the company set up a website for aggregating all Facebook and Twitter posts in one place in the form of photos, videos, text and links. Johnnie Walker has rolled out its largest ever global marketing campaign that will activate simultaneously in more than 50 countri..
"We expect e-payments to have a multi-fold increase. "..